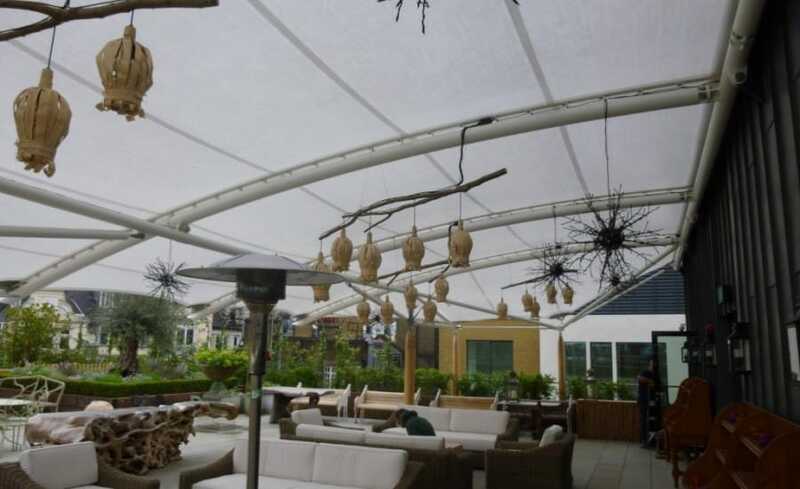 At the heart of Soho on top of the luxury Ham Yard Hotel is a haven for city life; a terrace covered by a light and airy tensile fabric canopy. 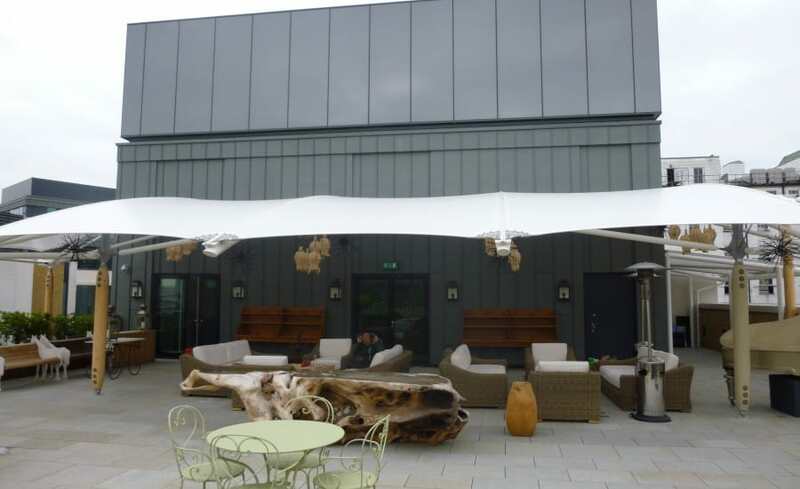 Commissioned by the hotel, the space was designed by David Dexter Associates who worked in conjunction with us to deliver the terrace’s tensile fabric canopy. 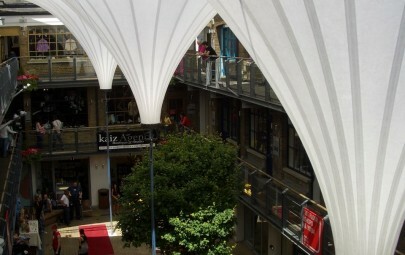 Covering approximately 130sqm of space, the canopy is formed from a Tenara membrane, supported by glulam posts and steel arches to form a flowing barrel vault shape floating above the comfortable seated area. 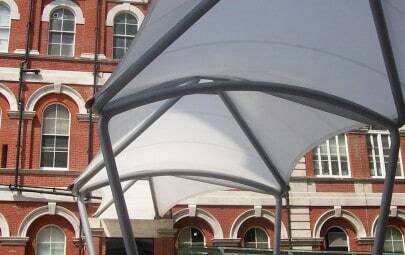 Tenara, which was most famously used on the Centre Court Retractable Roof at Wimbledon AELTEC, was chosen specifically for its high level of light transmission (28%), flexibility, strength and Class O fire rating. 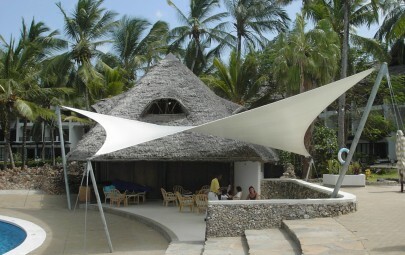 Located on the 4th floor of the hotel, installation of the tensile fabric canopy was a challenge! The steel and glulam structural columns and arches were craned up to roof level whilst all other elements had to be designed to limited lengths and weights to allow them to be carried by hand to the terrace site. 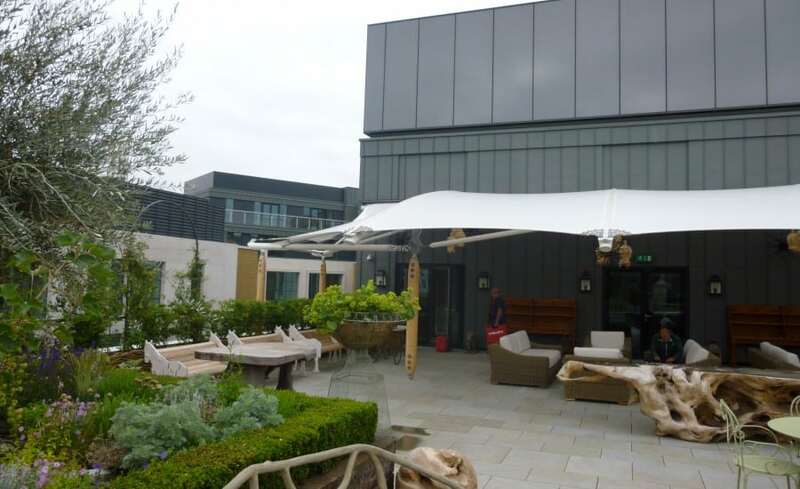 Now fully installed and open to guests of the hotel, the terrace offers an all-weather leafy garden with sweeping views over the London skyline.